What types of blogs are the most popular? There are so many different types of blogs online these days, with different goals and purposes. This post is going to give an overview of the different types of blogs that exist. If you’re already blogging hopefully it will help you focus your content. If you’re wanting to start a blog, but struggling to identify what type of blog you want to write, hopefully, it gives you some good ideas! Content marketing blogs. The business is the main attraction and the company or entrepreneur blogs in order to attract new customer and clients. Content Creation blogs. Content is the star of the show on these blogs. Bloggers create content that inspires, educates, or entertains their reader. I like to call this the business of blogging. The content is the business. Content comes in many forms: blog posts, video, pictures and graphics, podcasts, etc. There is content marketing involved here as well: the blog is frequently a sample so that readers can taste test your paid or opt-in content: emails, ebooks, books, guide, services, courses, etc. I primarily work with content creators. This post is going to dive into the different topics content creators cover and which ones are the most common. Not sure what type of blog you should write? Get my Blog Niche Guide to help you decide on the best blog topic for you! Here’s a list of common categories that content creation blogs fit into. These are broad categories for blogs, I started with the categories suggested on Pinterest and Bloglovin and added a few that I thought should be in there. 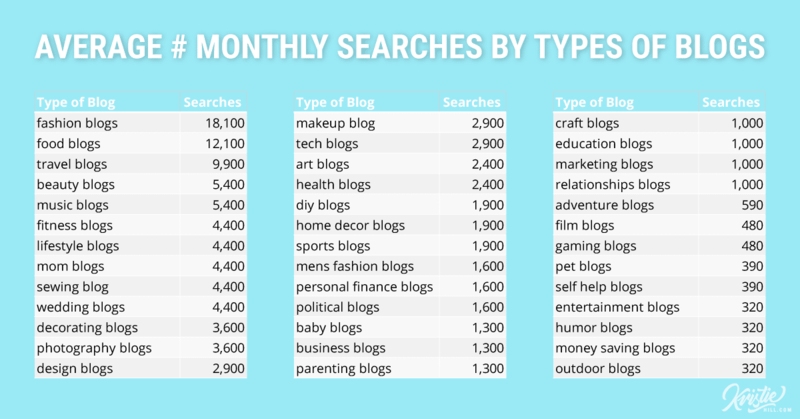 Back in 2014 I did a little keyword research to see what types of blogs people were searching for. It’s long overdue that I update the results. Last time, I used Google keyword Planner and this time I used a combination of SEMrush and Moz Explorer to find out what types of blogs are most popular. I am not ranking different keywords that users might search for in relations to blog categories, this post is ranking searches when people are looking for specific blogs. Let’s take a look at the rest of the numbers. 5. Music blogs – 5,400 searches a month. Music blogs did throw me off. I didn’t realize people read/write music blogs? Maybe I’m just not very cool? I think that number of music blog searches might not be as relevant to what we’re discussing. When I ran the search for music blogs, related searches had to do with people looking for places to submit their music to blogs. So if you’re a fitness blogger go ahead and say your blog is one of the top five most popular and we just will ignore music. Unless of course, you do blog about music, then – yay! people are searching for your blog. I am not surprised to see food, fashion, travel, and beauty in the top five most popular blogs. Followed closely by fitness, fashion, and moms. These types of blogs pertain to peoples everyday lives. Naturally, people are searching for them! I love looking at search statistics. But, you can also put these statistics to work for you! 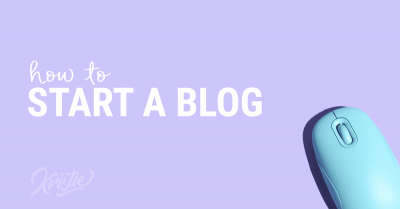 If you haven’t started a blog yet, scroll down for some tips on what type of blogs you can start. If you’re already blogging, here’s what these numbers mean for you. First, blogs are not dead. People are actively searching for blogs. They want to read your blog! Obviously, they are also searching for pain points you can help them solve and ideas you can inspire them with. Second, it might be beneficial to add what type of blogger you are on your blog since people are searching for it. Good places could be your profile in your sidebar, in the author box at the end of your posts if you have one, your about page, or even your tagline. No need to overdo it, keep it simple. Which type of blog do you write about? Drop me a note in the comments! If you need ideas for blogs posts, I did a bunch of keyword research for every major season/holiday. Check out the Blog Post Ideas Year Guide. Now that you’ve gotten an idea on the types of blogs that are out there and which ones people are searching for, what will you write about? I can help with that! I created a worksheet to guide you through the process of selecting a blog topic that will be successful for you. It includes questions to help you narrow in possible blog topics, a brainstorming section to explore possibilities and how it might fan out, and the last section will help you know if the blog topics you want to write about will be successful. 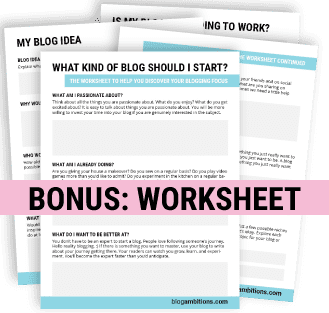 Bonus: Niche Discovery Worksheet:Subscribe to my email newsletter to receive regular updates and tips about starting-growing your blog & get instant access to Niche Discovery Guide. 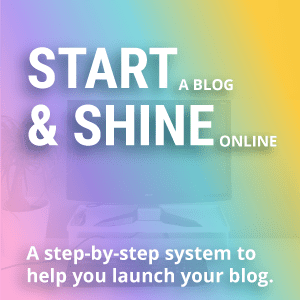 This self guided quiz will help you narrow in on a blog niche and start the blog you’ve been dreaming about. Previous Post: « What does it mean to be a blogger? So glad I found your blog, because I was about ready to give up. I’m stuck on trying to figure out my niche. We just moved from the Midwest to the Pacific Northwest. My hubby is an over the road truck driver, so my plan is to discuss my conversion from conventional to unconventional living (we live part-time “in a van down by the river”) and all that entails: van conversion process, downsizing as empty-nesters, budget travel, mental and physical health and fitness on the road, reviews of places we explore, and whatever else comes to mind with regards to my day-to-day life five days a week as a trucker’s wife to two days a week as a vandweller. Does that fit in Budget Travel or a Lifestyle Travel blog? I’m so confused, and probably making this harder than it needs to be. Wonderful!! Thank you so much for sharing this info, most excellent. Now I got some ideas for my future blog. Thanks for idea I found a best blog topic decided my blog post. This was a great help. Thanks for sharing. Thanks for making this post, it’s very helpful. When you started blogging in 2004, how long did it take you to gain audience on your blog? 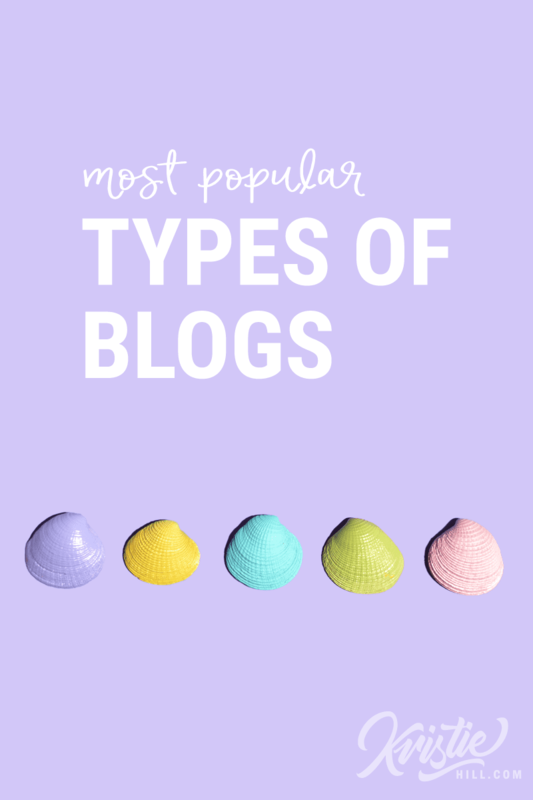 (popular types of blog, according to research)…. Glad to hear it Pavan! Do you blog? thank for all your effert in this blog . people here enjoy your work. Thank you, this means a lot to hear Giselle. Hi – this is all really helpful information for someone who has now been researching into starting my blog for countless hours (yes I really need to actually start writing!). I’m wondering if you could advise me. I recently moved into my first home with my partner and I was thinking of starting a blog that helps people who are also in this position i.e. 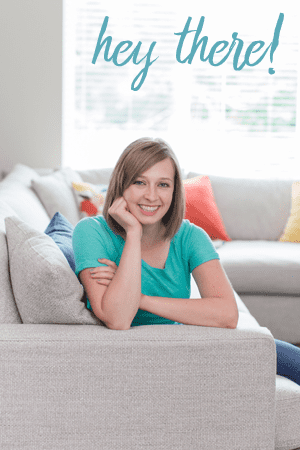 things no-one told me when moving into a home – how to work out bills, the best way to wash my clothes without them stinking of mildew (it happened! ), how to share out chores without wanting to kill each other…plus we are also renovating our house on a very tight budget and doing everything ourselves. Do you think this is something that could generate interest? I feel like it could because it would provide people with a platform to speak about their experiences and give tips too because I’m still learning every day. My issue with it is that, as it would be a first home blog, it may stop somewhere down the line when we’ve finished renovating or been living together too long for it to be “a new home”. However I think I may be thinking too far ahead and should just get on with it. What do you think to this idea? Jessica, I think it sounds like a great idea! You’ll be sharing your experience that so many other people will go through! And as to growing out of the “new home” yes, you will. But it is okay for your blog to grow and change as you do. (just make sure not to name is myfirsthome.com or something like that, give yourself some wiggle room). Your audience will grow out of that state as well and they’ll naturally transition to your newer content. Good luck with your blog and good luck with the renovations! Thanks a lot for all the well efforst and a good contents , i have an academic study about Blogs and its hard for me to find a website or .. that give a world blogs ranking , can you help ? The best category is… really dependent on your experiences and interests. What could you give a 40 minute presentation on without prep? I write a blog, but it doesn’t really fit in a category, which pretty much sums up the struggle I have with everything. It’s hard to follow advice that’s written for a “box” when you can’t fit in a “box”. I share projects and experiences that people can do in order to become more connected with the seasons and nature. It’s part herbal, part food, part outdoor travel, part garden, part mindfulness, part mystic. I suppose lifestyle blog is the best “category” but I hate that, since most lifestyle blogs are pink and frilly and talk about clothes and makeup. This list is just basic categories. Most people are much more “niched” than the categories listed here. I didn’t realize lifestyle was pink, frilly and clothes. To me, lifestyle means you are sharing your way of life. Closer to Nature Lifestyle? Would it be wrong to think I could do a blog based on my crazy dysfunctional life since birth? Adoption, divorced parents, abandonment issues, abuse of all kinds, married young, abused again, ect ect ect ect. I’ve wanted to write for a long time and a blog sounds more appealing to me then trying to write a book. What category would you place it? Self help? Motivation. Encouragement. Sounds like you could really help others with your experience. I am just researching how to start a blog. I came across your reply and we have a lot in common as crazy as it could be. We have to keep moving forward but I do believe we went through what we did to share the experiences some how with others. There are so many people that have a story to tell.Tell what you can to help others..it sounds like you can! Glad you two were able to relate with one another. You’re right Cat, everyone does have their own story to tell! Thanks for this lovely and informatie article. Really love this piece of information. Just a thought, how about a mix blog covering a mix of all the categoryies? How this would effect the overall ranking of the blog? My blog is http://www.TLHLife.com dedicated to lifestyle but covering a bit of all. Do you feel like you are providing value to your target audience? If so then covering all the things isn’t so bad. It is harder to rank on Google – but if people are loving (and sharing) your writing than that will counter balance things. Hmm, very interesting. Like you I was surprised that music blogs made it into the top 5, but the biggest surprise for me was the absence of gardening blogs from your list. Gardening is almost always in the top 10 of any listing of the most popular hobbies or leisure-time pursuits, so it’s puzzling that it didn’t make your list at all. Maybe gardeners are too busy in their gardens to be blogging? I was also surprised by that lack, as I’m a gardener and those are almost the only type of blogs I read! Did a little research for you two. Gardening Blogs get 720 searches a month, on average. I’ll have to do some research and see where gardening fits in! Thanks for this great research. I am new in blogging and aiming to keep my focus on Marriage and Relationship. Though I intents to market African fashions and Christian books and other products on it. Can the blog and these products go together?, and how else can i make money from it? If the Christan books are marriage and relationship based, that could work. Think of who will be reading your articles, would they buy it? Your blog posts are interesting and very useful. I am reading and enjoying your posts. Happy to hear that Faraz. Hi Kristie, thanks for your site! Can you tell me what you think of a blog that is about everything there is to know about certain city, for example Portland, OR? The blog would be for people who are looking to move there and are looking for cost of living, minimum wage, for tourists/visitors researching cities attractions before arriving, maps, etc. So basically someone types the city in search and my blog would hopefully pop up with everything there is to know about the city. Do you think this topic would be to broad? Could it be profitable? Can you give me your opinion please? I think local blogs are a great idea! I host a Seattle bloggers group and know several successful bloggers that write about Seattle things. They monetize through ads and sponsored posts where the collaborate with local companies. Sounds like a good idea to me Stacy! Thanks for the great info, Kristie! I focus on travel and the outdoors (with kids), so it’s interesting to see that travel is the more popular topic–maybe all the outdoorsy people are adventuring outside! Ha! 🙂 Really helps though as I plan topics for 2018. You’re welcome, Kate! Your comment brings up another element to these stats. I’m just looking at what type of blogs people are searching for. While people search for “travel blogs” more than “outdoor blogs” that doesn’t mean they aren’t looking for outdoor activities! Interesting read, but could you tell me why the data is from 2014 instead of this year? What am I missing here? Great to know this! I have a DIY + decorating blog and I’m happy to see it’s at least in the top 10-15. Happy Day! Good luck with your DIY + Decorating Blog Jeanette! Great info!! Definitely helps me on my journey of getting my blog together!! Thanks for this post, it’s a great post for blogging keyword idea. You’re welcome. Good luck doing keyword research. Nice article,thank you for sharing your article. This was Google Adwords, Keyword Planner. They don’t show you exact numbers anymore. These statistics were taken before they made the change. You can read up on my blog about using Google’s Keyword Planner. Hi, my name is Mustafa. I am posting about real stories, summary of books, quotes and Turkish Cuisine. If you have time, you can visit mertancelik.com. I am waiting your comments/suggestions. I’m brand new to the blogging world. I just began hosting with wordpress today and I found this post whilst looking for some inspiration to kickstart my blog in the right direction. Very good information! Ps that’s a killer domain! love it! Glad this helps you, what do you want to blog about? Hi I wanted to know if romace relationships would be a good blog ? Break ups cheaters and advice on all of the above ? Italia, relationship blogs get at least 1000 searches a month, not to mention all the questions people are asking about relationships. I think it’s a good direction! Very interesting insights. I will keep it in mind for future fashion posts of mine . I really liked your recommendations and ideas. They will be very useful in the future. I just started my blog.. Thanks for the insight. Does anyone think it is a good idea for me to incorporate some fashion articles on my blog that mainly focuses on technology? Thanks Christy for these insights. Inspiring. Glad am still within the ranks, I know fashion blogs rank high, cos my fashion posts get the most traffic but I concentrate more on diys, lifestyle and beauty. Its a nice article, I’m about to start a blog in coming weeks but I had a confusion in selecting the niche. Now I got some ideas for my future blog, Thank you for sharing this wonderful idea. Excellent blog. I like your research and findings. Well.. I think fitness blog search is always on the high rise. As it doesn’t depend on seasonal changes. One can design some schedule to keep it following all through the year. I have a blog on wordpress https://smalltownfashionblogger.wordpress.com/ and in my activity I always see what people searched for when they found my blog and it’s usually reviews of makeup, or fashion. Really interesting post, and as a keyword research junkie I couldn’t help comparing to up-to-date results. Although fashion was still very popular, it was beaten out for #1 by maths blogs, which is pretty strange! I am surprised with fashion blog. Ah, interesting discovery. I didn’t even think to try tech blogs. Smart find. This is great research. It would also be idea to mention these terms when writing post titles and in the content too. Wow, I had no idea how popular fashion blogs are! It’s pretty crazy to see how much the numbers jump by simply adding on a “s.” Now that gives you something to think about. Great post! Thanks for sharing! I was really shocked about the ‘s’ too! Totally changed my perspective. but, if you think about it, readers aren’t usually looking for just 1! Hi Kristie, Thanks for sharing this really interesting article, just thinking however, don’t the number of searches seem really low compared to internet traffic in general? of those were as high up as they are! This is so interesting–throughout my whole blogging “lifetime” my fashion posts routinely get by far the most pageviews and searches leading to them–which has always made me laugh because I definitely don’t think they are the best posts on my blog. I LOVE this comment! Now you know why they get more hits, there is more searches! Hello stopping by from SITS sharefest. I wonder where personal finance blogs would fall on the list? I suspect that it would be around the lifestyle category. Great and interesting research you did. Great news for Fashion bloggers, isn’t it?!? Glad you found the data interesting. One day, I’ll update this post with more blog topics. I used BlogLovin’s categories to generate the list. This is so interesting. Also interesting personal finance is not on the list – or is that part of lifestyle. My fashion sense consists of does it fit, is it in my price range and will it need ironing. I don’t think that is the formula for success. I think you will find it interesting that my blog which started out as a career blog gets 25% of its traffic from a post I wrote about getting a 2nd mammogram. It is also the post that generates the most adsense income. Sounds like we similar fashion buying instincts. I also don’t buy it if it needs to be hand washed or dry cleaned. I forgot to add finance and health on to that list, I’ll have to update it soon! Thanks for the pointers! That’s interesting that your 2nd mammogram post gets so much traffic. Have you changed your blog focus because of it? Very interesting! I do admit that I have spent a lot more time reading on fashion blogs lately – probably because I’m in a wardrobe crisis! Lol. Thanks for putting all this info together! I too spend a lot of time reading fashion blogs. I rarely end up implementing their ideas though. I’m more of a jeans and a t-shirt type of girl! Fascinating! I would have guessed food then fashion, but I guess I’m biased ! 😉 I must admit that I am SHOCKED by the number of people searching for fashion blogs and I love fashion. I was pretty shocked too! I guess we’re all trying to figure out what we should be wearing. I actually look for food blogs more than fashion blogs, so I’ll make sure to check yours out, Lindsey! Thank you so much for sharing this info, most excellent!!! Pinned for reference! You’re welcome! Google Keywords is so helpful if you want to see what people are searching for. Great post Kristie! Google keywords is a fun place to play. I am such a numbers geek this kind of research and reporting is right up my alley. I just shared this with my local blogging FB group. Hi Rose (again) thanks for sharing to the facebook group. Ironically, I just joined it today. Glad you liked this post! Thanks for your research! I’ve been thinking about branching out and starting another blog and I never thought to see what’s popular using google analytics. Google Keywords is a very helpful tool for discovering blog topics! Whether you’re staring a new blog, or just looking for ideas for an upcoming post. Thanks for stopping by! Such interesting research! Thanks for taking the time to do it ! It was really interesting to research, I was surprised by some of the numbers!